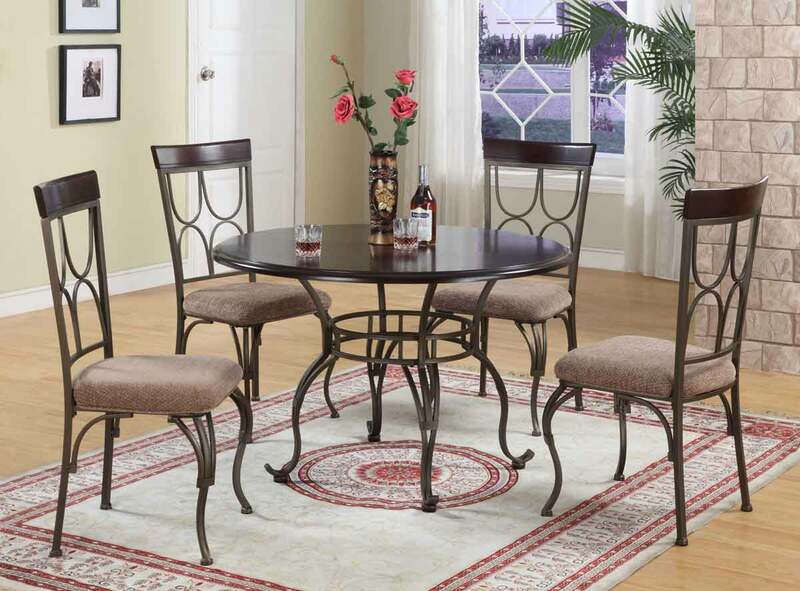 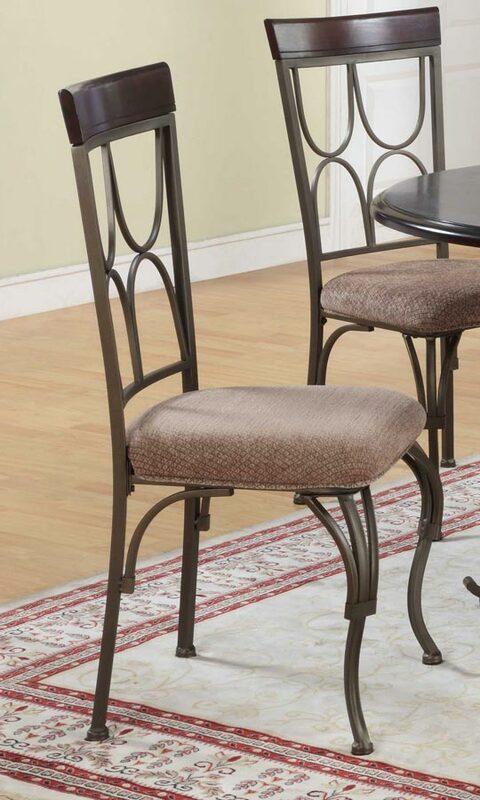 The Langley Dining Set is finished in a rich "Dark Cherry" wood and "Bronze" metal. 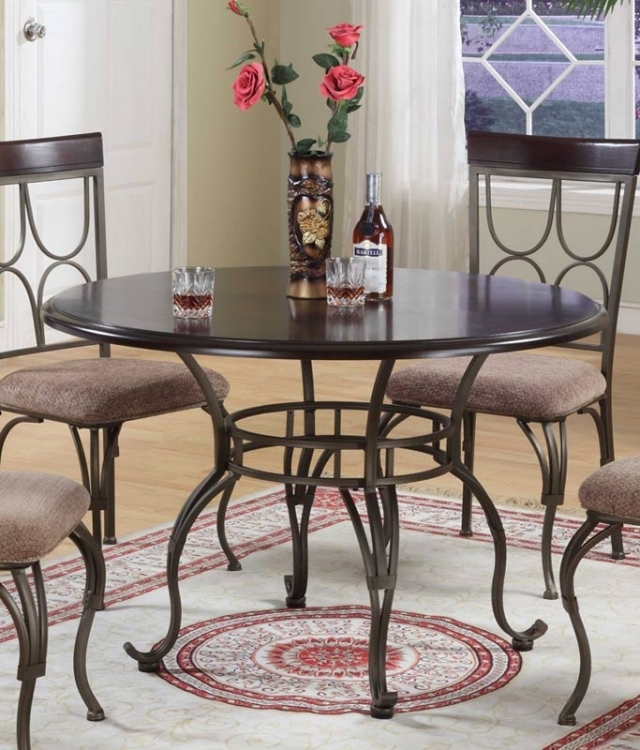 With its spacious 45" diameter, this is the perfect piece for you and your family to gather around. Decorative curved legs add an extra touch of elegance to this table and finish off the piece. 18" x 21-1/2" x 39" tall, Seat Height: 18"